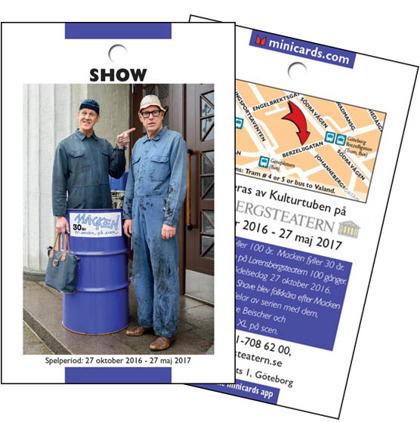 " - We are very pleased with our advertising through Minicards and we have received a lot more tourists since we joined Minicards." 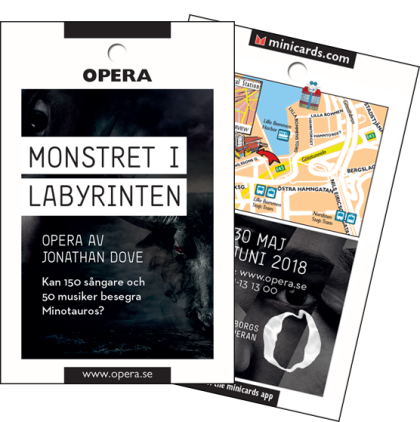 The Gothenburg Opera has been advertising since 2014 and in their latest card they will focus on one of their latest shows, the classical opera 'The Monster in the Maze" composed by the british composer Jonathan Dove and features over 200 people in the cast, both amateurs and professional singers and musicians. 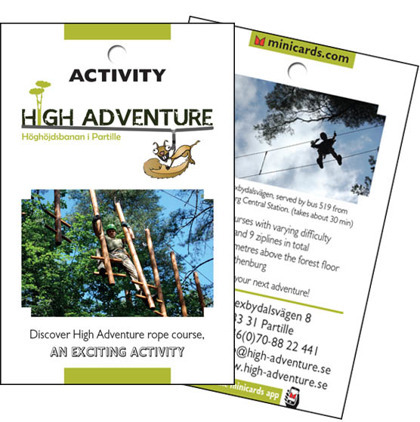 High Adventure -an obstacle course on high altitude has been advertising with Minicards since 2013. A fun and exciting activity for the daring tourist. 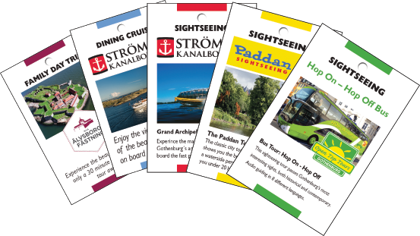 Strömma Kanalbolag is a big actor in the tourism activity market. 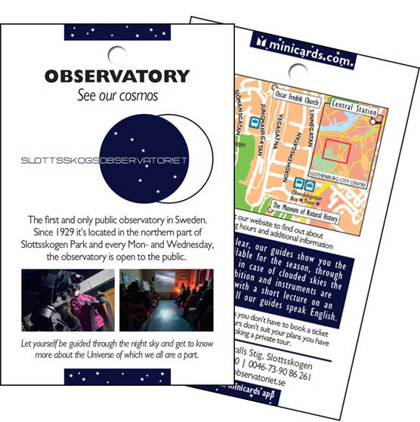 Today they have seven cards in Stockholm together with five cards in Gothenburg. 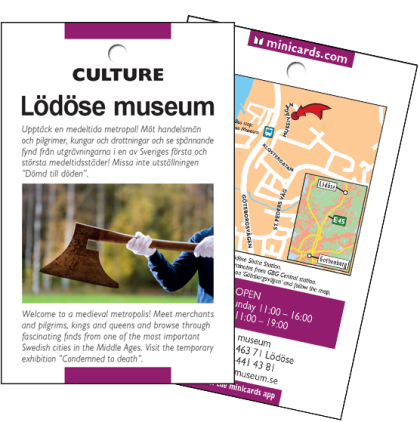 The high usage of Minicards guide tourists to these exciting activities and guided tours around the city. 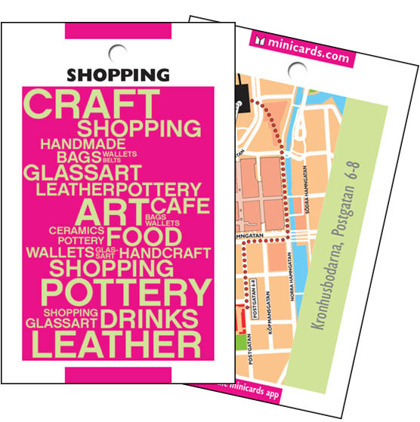 "- We are plased with the high circulation that Minicards offers. 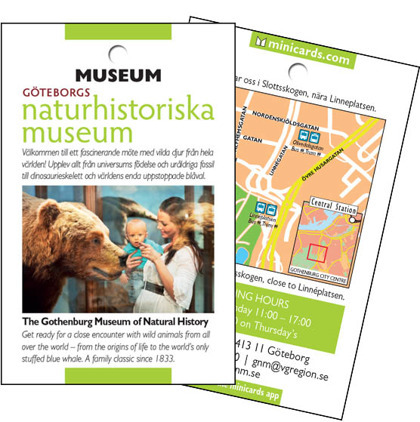 This gives us a lot of tourists visiting our attractions."